Bellmeadow, a member of Deep Green Resistance Colorado, reports on the planned construction of the newest biggest mall in the US. The mall in Castle Rock, CO will destroy the home of one of the largest remnant prairie dog colonies on Colorado's Front Range. Already reduced to 3% of their native range and less than 1% of their original population, prairie dogs would be considered an endangered species if not for the loophole of calling them "pests." Recently I heard news that our county (Douglas) was getting one of the nation’s biggest malls. The news simultaneously sunk my heart and angered me. Why the hell do we need another mall? To consume the world? Then my mind raced to the location of the mall, and the prairie dogs that live there. I had been worried about this colony before, about the strong possibility that the remaining colonies comprising hundreds of prairie dogs would be destroyed for some kind of development. After all, a Lowe’s store, an outlet mall, a housing project, and a tire store had occupied their territory and had already killed thousands of these dogs in the name of “development.” And this was the final solution for the 3,000 to 8,000 remaining burrows: complete annihilation of the prairie dogs for a shopping mall set to cover 170 acres in concrete. 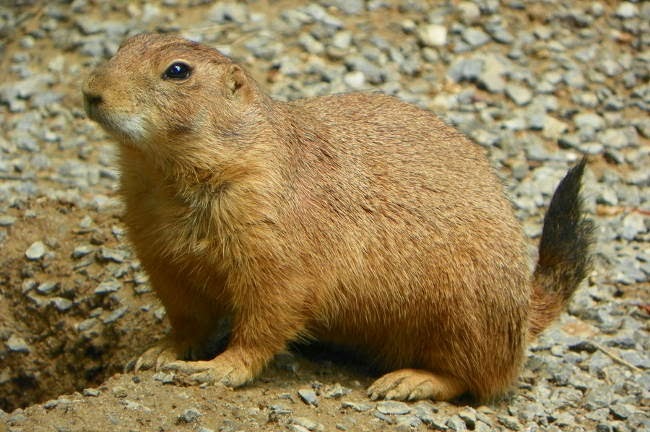 Regular readers of this blog or listeners of Derrick Jensen's Resistance Radio may remember his interview with Con Slobodchikoff on prairie dog language, in which they discussed their high level of intelligence. Sacrificing these beings for short term profit and another shopping mall should be criminal. Unfortunately, as we know all too well, money and those who wield it write the laws. There's probably no chance of saving the habitat for the colony under threat; the best-case scenario is "relocation", a horrible process of sucking the dogs out of their homes, killing many and splitting up families in the process, and moving them to strange new territory where they may or may not survive. Even implementing this salvaging rescue mission will prove difficult, as few landowners are willing to accept the forced transplants, and if a location can be found, it'll be another struggle to convince the developer to hold off on construction three months so the prairie dogs can be moved at the least harmful time of year. If you care about prairie dogs and the other people crushed by the relentless expansion of civilization, if you feel anger or grief or shame, let that guide you to action. Join Deep Green Resistance and the culture of resistance! Michael Carter of Deep Green Resistance Colorado Plateau, fueled by anger and despair but with only The Monkey Wrench Gang for guidance, carried out acts of sabotage in his youth against industrial encroachment on wilderness. He spiked trees, sabotaged road construction equipment, and cut down billboards. Though he doesn't regret his impulse to protect life and strike back against the machinery of industrial civilization, he does regret his lack of strategy, big-picture thinking, and basic security culture. Now older, wiser, and working as an aboveground activist, Carter reflects on those underground actions, what he wishes he'd done differently, and what needs to be done today in the face of even more desperate environmental circumstances. This interview is a fascinating read, giving a glimpse into what might lead someone to consider illegal forms of resistance such as property destruction, the pitfalls they may encounter if they don't prepare properly, and what it will take to build a larger culture of resistance. 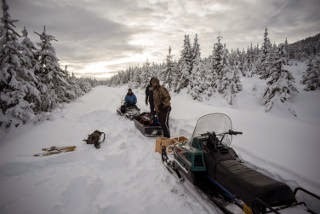 A group of Deep Green Resistance members from across the US and Canada delivered cash donations, supplies, and their labor to the Unis'tot'en Camp in early January. A support network for a strategic, indigenous-led front-line blockade is a crucial part of building a culture of resistance. DGR is proud to provide some of that support, and grateful to the camp hosts for allowing us to be involved. Many doctors have told me to reach out to old friends to help me remember who I was and what I was like before despair settled over me. In my worst moments, all I can see is darkness behind me, darkness upon me, and darkness ahead of me. Life is bad. Life was bad. Life will always be bad. Part of spending so much time in Canada is being far from those who remember who I was. Lately, my desire for connection to a happier personal past has taken strange and pathetic forms. I wear an obnoxious green Notre Dame football flatbrim everywhere I go. I talk about my favorite band, Phish, with anyone who will listen. I find myself in bars just looking for company. So, one of the benefits of the speaking tour I went on for the Unist’ot’en Camp involved spending time remembering myself with those who love me. But, the temporary feelings this time spent remembering released are dangerous. It would be easy to settle back down into a life based around salving the pain of depression. It would be easy to surround myself in good memories and turn my back on the problems of the world. If I did this, though, the world would still be burning. And, if the world burns for long enough, those I love will burn, too. 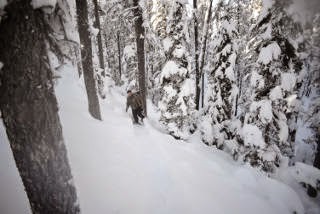 Read the entire essay: Reflections on Despair: Walking the Trapline at Unist’ot’en Camp, by Will Falk. And stay tuned for report-backs from other DGR members who attended the camp! In November, Admiral Michael Rogers spoke to the House Select Intelligence Committee on Cybersecurity. Rogers, the National Security Agency (NSA) Director & U.S. Cyber Command Commander, spoke on the vulnerability of U.S. infrastructure to cyberattacks due to the proliferation of network technologies which are relied upon for that infrastructure's functioning. Sectors of the economy vulnerable to cyber attacks run the gamut, from energy to oil and gas to government to aviation. In his assessment, no major part of the interconnected global economic system is not vulnerable to cyber attacks. 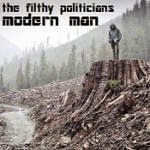 This collaboration between the filthy politicians and Drew Wadden provides a concise summary of the trajectory of civilization, then challenges the listener with a fundamental moral question: what are you going to do about it? do you believe that you will die at the end of your life? what do you think that you will do when nobody can find you? does that man get to join the elders? or does he wander the depths of hell? do you really think in the end we could find you? we tear apart the world for what? fight back why are we hesitatin? take a look inside - what do you got? Unfortunately, though he identifies the major threats as pollution, overfishing, and climate change, he doesn't tie these together into a necessary broader critique of civilization. His proposed solutions, with a focus on green technology hopium and voting in the "right" leaders, are almost entirely useless. Watch Ocean Apocalypse now, learn from Jackson's summary of the problems, then consider the Deep Green Resistance Decisive Ecological Warfare strategy as an actual plan to save the oceans.